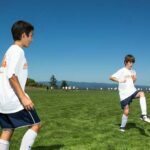 The Dallas area offers a wide variety of opportunities for soccer athletes to improve their game through camps, academies, or one-on-one training sessions. FC Dallas Academy is apart of the U.S. Soccer’s Development Academy. The U.S. Soccer Development Academy program provides the optimum developmental environment for the nation’s top youth soccer players, coaches and referees by emphasizing development through quality training and limited, meaningful competition. FC Dallas has signed an MLS record 14 homegrown players to their first team. The program at FC Dallas has been very successful since joining the US Soccer Development Academy in 2008-2009. 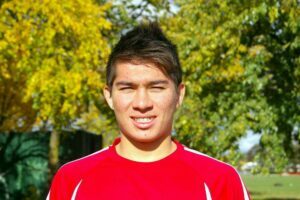 28 players have went on to make appearances with youth national teams and 40+ have gone on to play NCAA Division One soccer, with dozens more playing D2, D3, NAIA, and JUCO soccer. FC Barcelona world famous soccer camp is coming to Dallas. The workouts and sessions are taken directly from those of the junior and senior teams at FC Barcelona. Three Training Sessions on Tuesday, Wednesday and Thursday, goalkeepers will also participate on foot skill exercises, drills involving shooting with group and in game simulations daily. The camp takes place at University of Texas at Dallas. Campers will participate in 15 total sessions and five real-game situations. The camp is open to athletes ages 6-14. This Texas based soccer academy offers private training as well as group sessions. These sessions run four different days, with three open group locations and eleven total classes. Sessions run in Dallas and the surrounding area. The trainers have experience as professional players, collegiate standouts and licensed USSF coaches. GFT has helped many male and female soccer prospects get recruited and play soccer at the collegiate level. The 13 time national champion Dallas Texans are a member of the USA Development Academy teams. Their goal is to provide a competitive youth soccer program aiming to win at the local, state, and national levels. The Texans have also competed in tournaments abroad, including the Gothia Cup, Helsinki Cup, and Iberia Cup to name a few. The staff is made up of former pros and coaches/trainers with experience at the top levels in Europe. The Academy has taken the holistic view of developing players based on the successes and curriculum development of countries like Holland, Brazil, Spain and England. 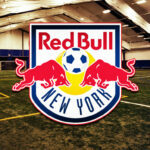 The staff includes coaches with playing experience in Europe and the MLS. Players in grades 5-12 will participate in 43 weeks of training, with four sessions per week. This will also include 44 games and 4 tournaments. 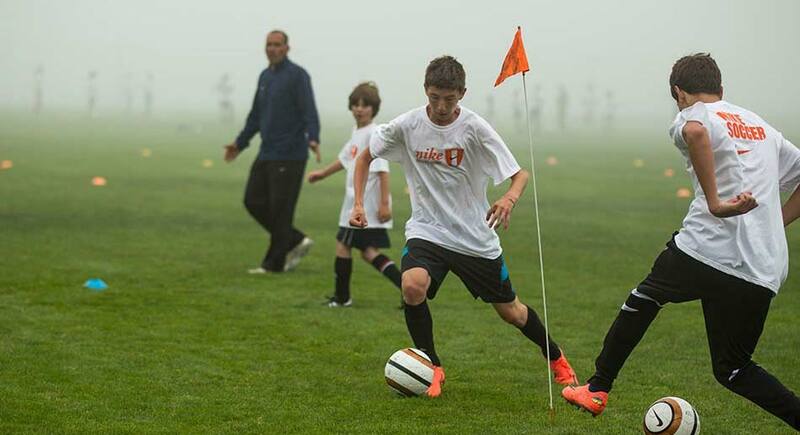 The goal of HP Soccer Academy is to elevate the prospects’ game and prepare them to play at the highest levels. SMU’s head coaches and staff run their own camps and clinics throughout the year.They offer overnight, half day, and full day camps. The College Prep Camp is designed for our older campers and will give them an opportunity to experience what it is like to be a student-athlete at SMU. This camp is for campers ages 15-18, many of the participants in this camp have aspirations to play soccer at the collegiate level. The coaches host a recruiting process panel discussion, parents are welcome for this as well. The SMU coaching staff has produced dozens of pros, including MLS stars, Bruno Guarda and Daniel Hernandez, to name a couple. SMU also runs a camp for athletes ages 10-14. They are broken down into smaller groups to get more one-on-one time with the coaching staff to work on and advance their skill sets. Solar FC is partnered with European powerhouse Chelsea FC. Solar FC aims to introduce the concepts of sound technical skills coupled with team tactical execution. Skills such as receiving, controlling, passing, tactical movement, dribbling and defending are taught. They currently have over 70 squads competing in the North Texas area. This includes 35+ competitive teams, 25+ Youth Academy teams (U6-U10), five ECNL girls’ teams, two USCS Pre Academy boys teams, and three US Soccer Development Academy teams. Solar is nationally recognized for its development of collegiate, national, and professional level players. Their planned program pushes the development of players to ensure they are able to compete at the next level. The Elite Boys Prep Soccer Camp takes place at the University of Texas at Dallas. The Men’s coaching staff will be running the camp and will be coaching all the sessions. This camp is for players who are looking to take their skills to the next level. Campers will also learn more about college soccer, the recruiting process, and the UTD Men’s Program. The man behind the camp, Jason Hirsch, took over as the Head Coach of the Comets in 2013 after six years as an assistant. The past three seasons, he has guided his team to a 41-10-13 record. Hirsch was a member of the Comets as a player for four seasons. Dallas United Soccer Club exists to offer quality coaching, in a positive environment that promotes good sportsmanship and teamwork. The heart of the program is the middle school teams that play in the Mid-Valley Soccer League. Dallas United also offers co-ed teams in the U10 and U12 age range. Both of these teams currently have spots open for Fall 2016. Boys teams and girls in the U6 and U8 age range are also looking to fill spots. This is one of the larger organizations in Dallas and is a great start for young athletes interested in playing soccer for the first time and working their way up. READ Can I Become a Pro While In School? The Liverpool FC International Academy offers a wide variety of opportunities for soccer players in the North Texas area. Teams are offered for both boys and girls in every age range from 5-18. The organization offers a unique opportunity called the College Athlete Placement Program. The program educates players and their parents on how to search for the right school to attend, how to be recruited, and how to communicate with coaches. Panels are hosted where college coaches come in to answer questions and discuss their recruiting experiences and how they operate. The organization will go above and beyond to help their athletes reach the highest level possible for their skill set. The In-Residence Program was created for 14 – 25-year-old footballers seeking the most transformative level of soccer training and self-development experience. You will be transforming your game in the football capital of the world, London. Your personal coach will be a UEFA licensed, ex-international whose sole purpose will be to help you achieve your full potential. Off the field, you’ll stay alongside a former FC Bayern Munich player, women’s pro player and a YouTube football influencer in the famous London Effective House. The In-Residence program is open to players all year round. More information, including testimonials and prices, can be found here. Camps play a very important part in fitting an intense amount of training in a short period of time. They’re also important in meeting like-minded people, and of course having FUN! Though to take you or your son/daughter’s game to the next level, a consistent volume of training is needed over a number of months and years.. 10,000 hours to be more specific! Effective gives players an online platform they need to succeed as players and as good people later in life. Train with videos made with top European coaches, drag and drop individual workouts and go out there and work hard before and after your camp!